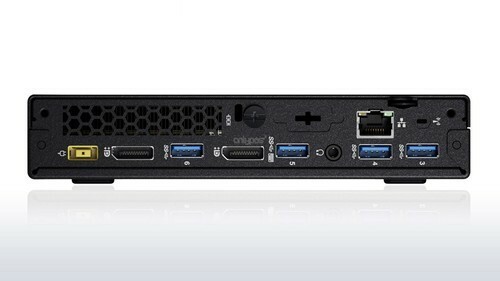 We offer Lenovo TINY M700. We "Radical Technologies Private Limited” from 1985 are Authorized Retail Dealer, Manufacturer, Wholesaler and Trader of Server Storage Products. In our highly acclaimed assortment of products, we are offering best quality HP Server, HP Server Processor, HP Server Hard Disk, HP Server RAM, HP Server Raid Controller, IBM Server and many more. Our provided products are manufactured using quality tested components at our vendor’s ultra-modern processing unit. These products are highly used in various fields for their latest technology, high strength, easy usability and longer service life. Moreover, we are also offering after-sale service to our valued clients. We are backed by a team of professionals for running our business in a reliable manner. Owing to which we are famous in this domain. Due to the relentless work of our team members and our vendors, we have gained the trust of various patrons across the market. Besides, we have an R & D Team to conduct research work to upgrade the tools available with us. For this high-quality range of products, we are able to build the strong relationship with patrons in the short span of time.